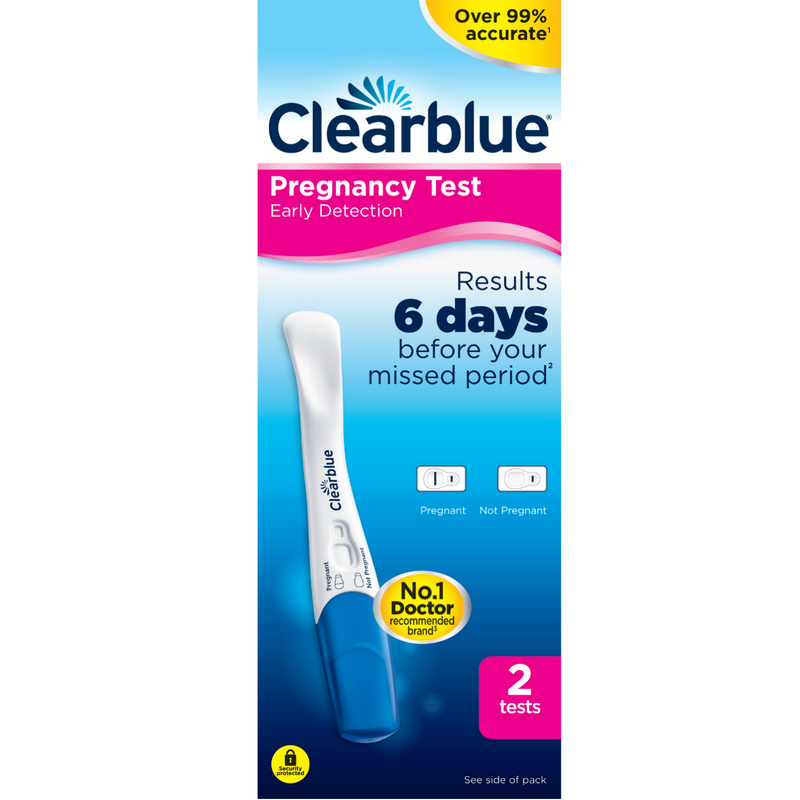 Our pregnancy cassette test, utilising a pipette to accurately add the correct amount of urine to the test well, is used through-out the NHS to confirm a positive test for pregnancy. These tests, just like all our tests, are accurate, reliable and give results very quickly. These tests indicate a positive result for pregnancy at concentrations levels of 25mIU/ml and above. For more information about trying to get pregnant click here. One Step HCG Urine Pregnancy Test measures the presence of the hormone Human Chorionic Gonadotrophin (HCG) in your urine for the early detection of pregnancy. HCG is produced by the placenta during pregnancy, shortly after the embryo attaches to the uterine lining. Usually HCG can be detected by a home pregnancy test 7-10 days after conception. This test is capable of detecting pregnancy as early as the first day after you miss a period. The further in to the pregnancy you are the higher the levels of HCG in your urine. The concentration of HCG in non-pregnant women is normally 5.0mIU/ml.At the time of the last missed menstrual period; urine HCG levels are about 100mlU/ml with peak levels of 100,000 to 200,000mlU/ml seen at the end of the first trimester. 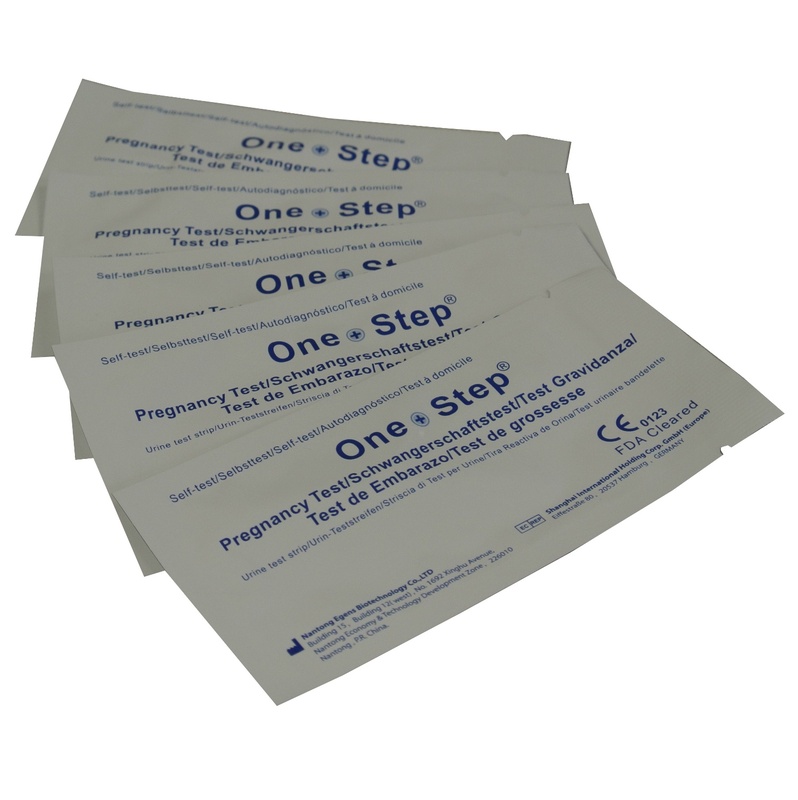 The test kit can be stored at room temperature (4 °C to 30 °C) in the sealed pouch to the date of expiration. The test kits should be kept away from direct sunlight, moisture and heat. Read directions for use carefully before performing this test. Do not use beyond the expiration date marked on the foil pouch. Each test Cassette can only be used for one time do not re-use the test Cassettes. Do not use the cassette if the foil pouch is damaged. Once the foil pouch has been opened, the cassette should be used immediately. Discard each cassette after use. Treat urine samples and used test devices as if they are potentially infectious. Avoid contact with skin. WHEN CAN I CARRY OUT THE TEST? You can take this pregnancy test from the first day after a missed period and onwards. A urine specimen must be collected in a clean and dry container. The first morning urine specimen is preferred since it generally contains the highest concentration of HCG; however, urine specimens collected at any time of the day may be used. Bring the test pouch and urine to room temperature. To begin testing, open the sealed pouch and remove the cassette. Place the test Cassette laterally on a flat and clean surface. Draw 0.2ml (about 4 drops) sample into the pipette, and dispense it into the sample well on the cassette. Wait for coloured bands to appear. Positive results may be visible within 1 minute but to confirm a negative result wait up to 5 minutes and until the background is clear. Results obtained after 5 minutes may be considered invalid. Discard the test after use. Negative: If one coloured line appears in the control region on the test device and there is no line in the test region, then this indicates a negative result, no HCG has been detected in the urine. This means you are either not pregnant or you have tested too early. If you are not sure repeat the test in 48 hours. Positive: If two coloured lines appear on the test device, one in the test region and one in the control region, then this means there is a strong possibility that you are pregnant — HCG has been detected in your urine. One line may be lighter than the other, they do not have to match and this is still a positive result. Invalid: If a red line appears in the test region but there is no visible line at all in the control region of the device then the test is invalid. If no lines appear anywhere on the test device then the test is also invalid and should be repeated using another test device. Alcohol may interfere with the test result. It is not recommended to use the test after drinking alcohol. If you test too early HCG levels may still be low and so can give a negative result. In this case, another urine specimen should be obtained at least 48 hours later and tested. If a urine sample is too dilute (i.e. : low specific gravity) it may not contain a representative level of HCG. If pregnancy is still suspected, a first morning urine sample should be obtained and retested 48 hours later. As is true with any diagnostic procedure, the user should evaluate data obtained by the use of this kit in light of other clinical information and consult their doctor for the final diagnosis of pregnancy before making any decision of medical relevance.